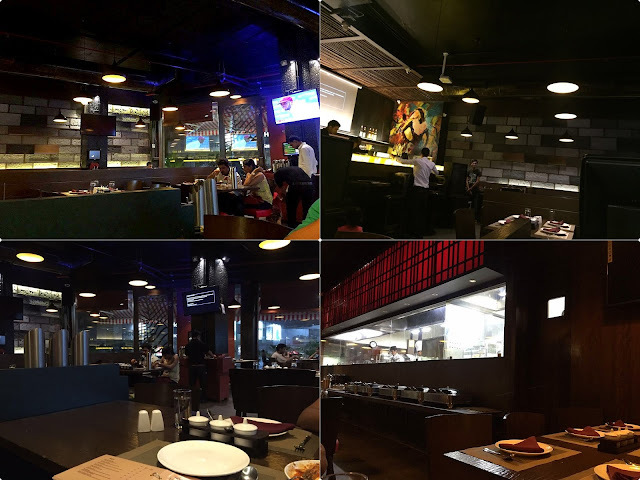 When you are surrounded by delicious food, you can hardly walk away from the temptation of trying it. Me…well I don’t try to walk away. Why waste the effort?!! I know I won’t succeed, especially when I am in company of total foodies. One such evening we decided to have an oriental dinner, and trust me, we had good food. 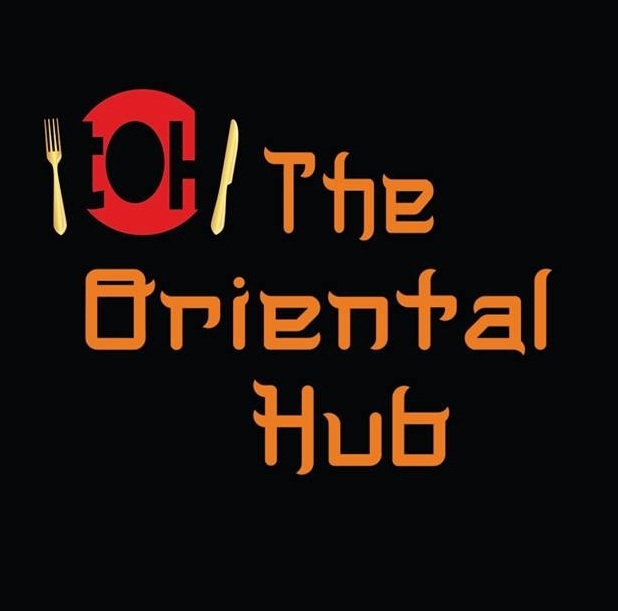 The Oriental Hub calls itself a PAN ASIAN eatery and quiet rightly so. It is a pretty huge place at a strategic location 2 minutes from Vashi railway station and bang opposite Inorbit mall. The decor is pretty chic, not excessive. 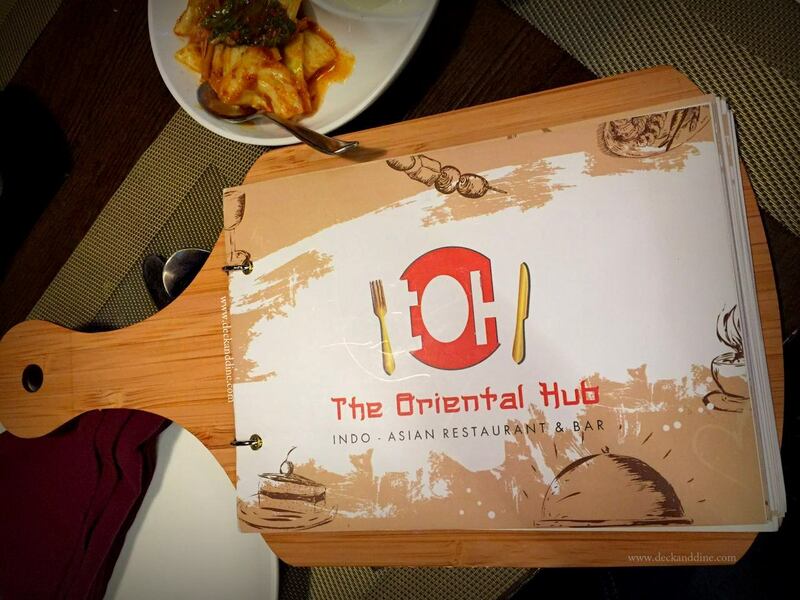 This is the menu "card" ..
Their menu covers all the major Asian cuisines in a suave manner. The staffs were quick and friendly. And most importantly, the food was fresh. We started off with CHICKEN SUIMAI. It was very juicy and full of flavor. 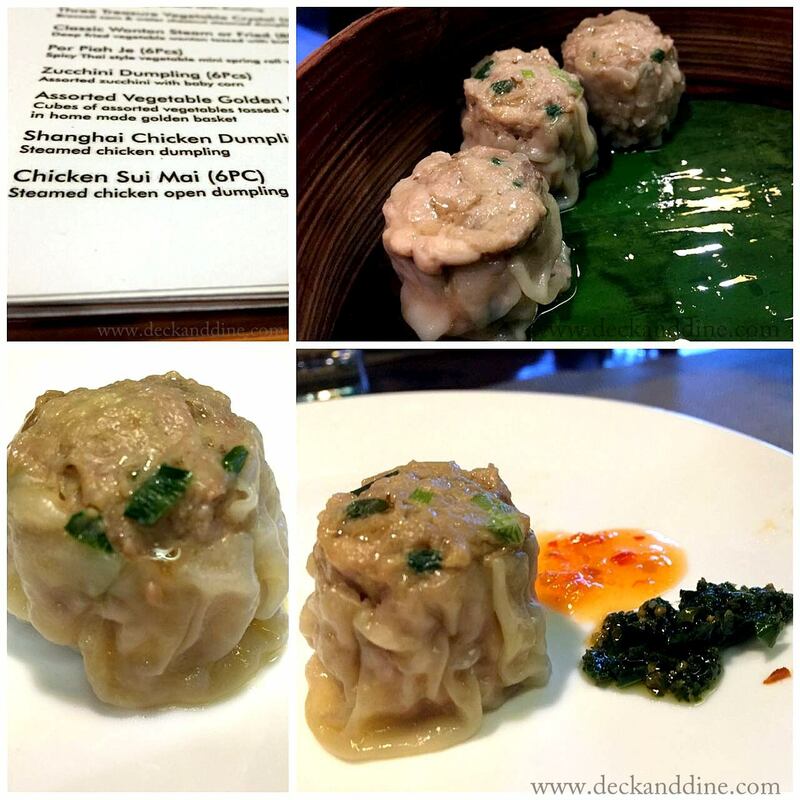 The meat tasted fresh and the dumpling was cooked enough to keep all the juices intact. What I liked the most was that the flour wrap tore up evenly, it did not break, which indicates that the dumpling was freshly prepared. 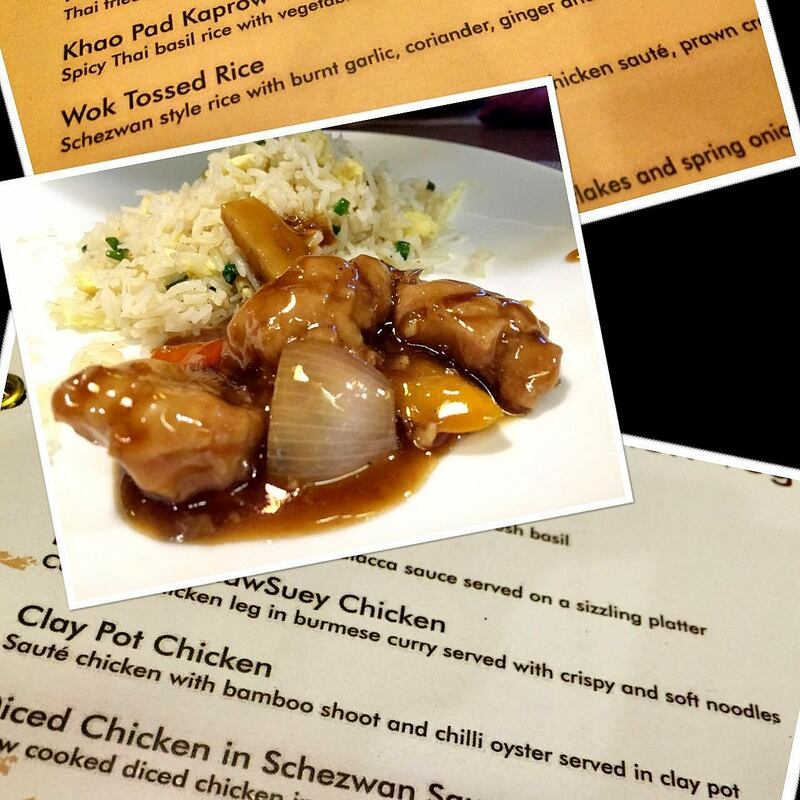 For our main course we had two varieties of chicken and some seafood Phai Thai and Wok Tossed Rice to go along. 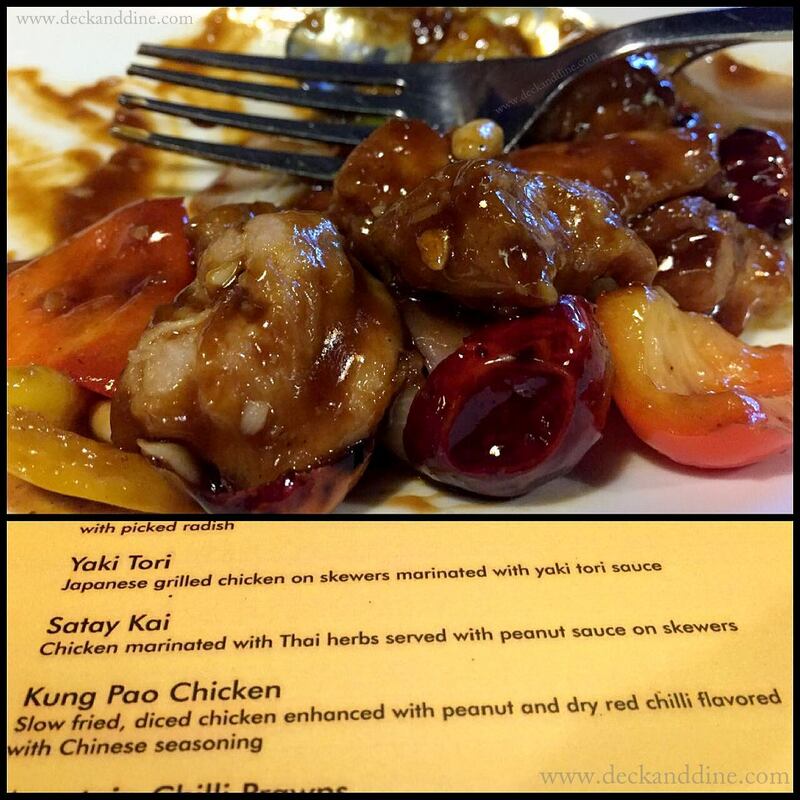 Kung Pao Chicken : The flavors were well balanced, the chilli had a very nice flavor and the chicken cubes were prepared to perfection. They were juicy and the flavours had permeated well enough. Although it lacked SiChuan peppercorns which are a key ingredient, the dish still carried itself pretty well. PhadThai: Nowadays premixed flavours and seasonings are very common, and this can easily lend a near authentic flavour to any dish. However, for any Thai Flavored Noodle, you have to get your noodle right, and they did. The noodle seemed from a good maker and it was cooked to perfection. I do have a complain regarding the dish though, and it doesn’t concern the flavor or the noodle, it was rather the seafood presentation. Mumbai has an abundance of sea food; they could have avoided batter frying everything from the squid to the fish. Otherwise, it was good. Clay Pot Chicken: I am not sure whether they actually cooked this in a clay pot but the flavours were earthy for sure. I won’t mention the chicken cubes again, they were good. The point that made this dish stand out was the amazing combo of tender bamboo shoots and oyster sauce, although it had a little less chilly than what I’d appreciate. Wok Tossed Rice: With burnt garlic, coriander, spring onions, capsicum and ground black pepper, the rice was bang on. We went for the non-veg (egg) version; the rice was soft, and the combination of eggs and other ingredients lend a fulfilling taste to it. 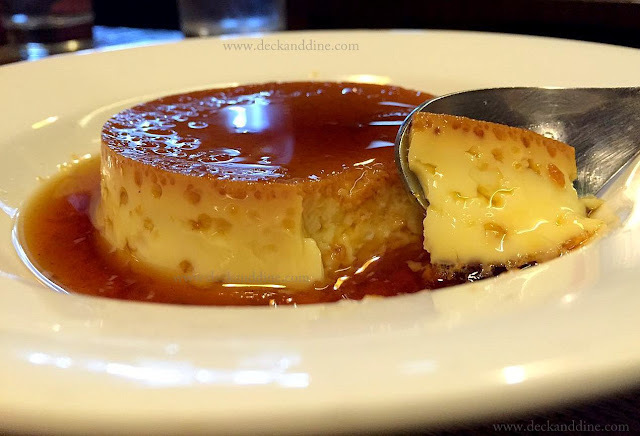 To finish off, we had some caramel custard. This too was well executed. The custard was fluffy and the caramel was smooth. A big thumbs up. Overall, it was a nice meal. The food was fresh and sumptuous, the flavors were balanced and the ingredients were fresh. I do recommend this to my friends. I would give it a 4 out of 5. See you later, keep munching!! 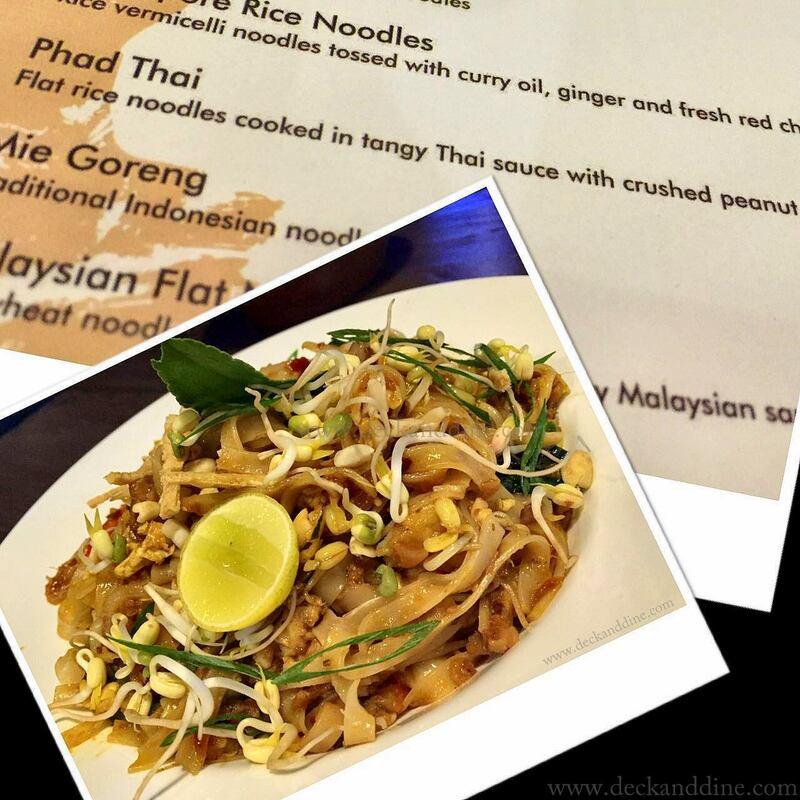 This is called a neat,detailed review :) I am feeling so hungry now looking at these delicious food pictures! Great place to visit.